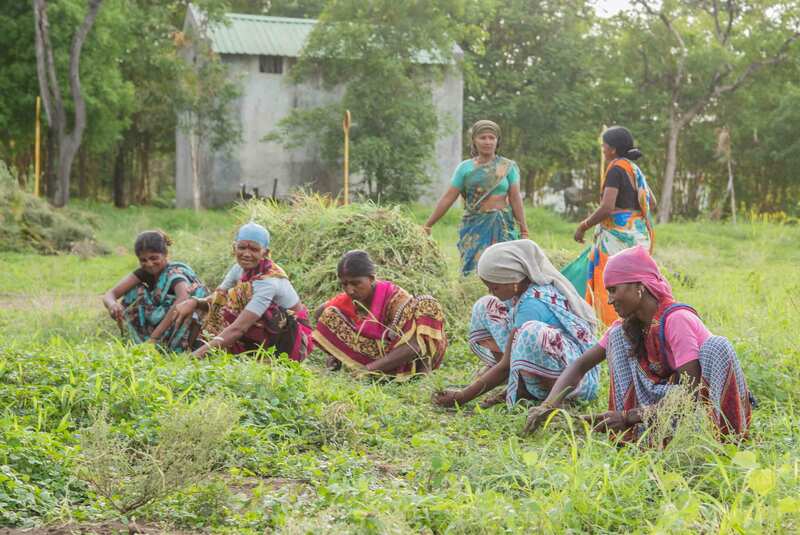 TANISHKA FOUNDATION MAKES MALGAON DROUGHT-FREE ! Today, Maharashtra is facing a challenge in the food sector as products are prepared, distributed, retailed and dispensed under unhygienic and unsafe conditions. It is majorly due to unorganized players and unskilled labor (majorly women) which contributes to 80% of industries volume. 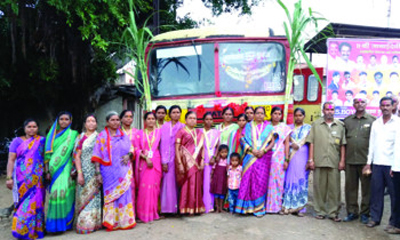 The 'Annapurna’ Initiative aims at training 300,000 Women in Maharashtra to become future entrepreneurs or scale their current food business towards a healthy and safe production, which will result in increased income for stakeholders involved due to the establishment of market linkage and traceability. Furthermore, the initiative will nurture innovations in food businesses by creating an accelerator platform for food market expansion. The initiative is designed to leverage the Maharashtrian heritage by building expertise in local and homemade food products and realize operational synergies with the government by integrating within the program components. Our vision is to create a comprehensive grass-roots level program for driving sustainable women-centric socio-economic growth across Maharashtra. THIS WAS DONE IN PARTNERSHIP WITH PALLADIUM GROUP, SILC, ASHOKA & ACDAVIS. With the ‘SIMACES Leadership Development’ Program, we provided a platform of inclusive growth for rural and urban students to undertake entrepreneurship and business ventures through entrepreneurship training and mentorship from experts as well as financial support by identifying venture capitalists and investors to invest in the winning ideas. The program targeted at least 75% of undergraduate students from colleges across Maharashtra. The initiative kicked-off in August 2017 with an online onboarding session and registration for 3,00,000 students in 2500 colleges, followed by a three-day workshop on design thinking for 75,000 participants in 500 locations. Post that, local districts selected top venture ideas, at least 1,500, which were paired with local mentors to improve and finalize their business case. Out of those ideas submitted, 150-300 ideas were selected to participate in curated incubator sessions. The program concluded with a three-day finale for final pitch and announcement of three state-level winners, who received funding. Except that you’d probably hit the wall of a conference room first. 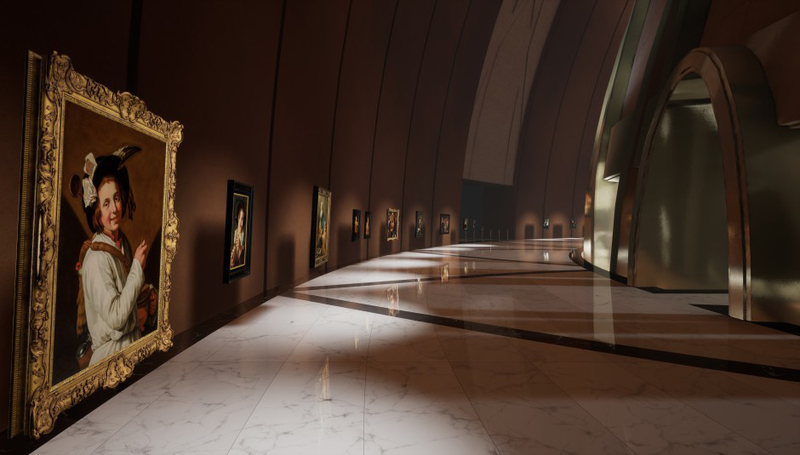 Then you take off your helmet and emerge from the Kremer Museum ,a virtual-reality art gallery of 17th-century Dutch and Flemish paintings, which has been set in an imagined celestial sphere. Back in reality, you’re in the meeting room of a corporate lounge in an Amsterdam hotel. This month and next, the Kremer Museum is rolling out its first mobile app, which will allow people worldwide to visit a virtual museum using any Google Daydream-ready phone and virtual reality headset, simply by placing the smartphone sideways into the headset and turning it on. The app is free, and through a program they’ve also created called Mighty Masters, the Kremers plan to donate smartphones and virtual reality helmets to selected schools, beginning in India with the help of the Delivering Change Foundation . Once women resolve to do something, they get things done! Inhabitants from Shripatraywadi recently witnessed this. 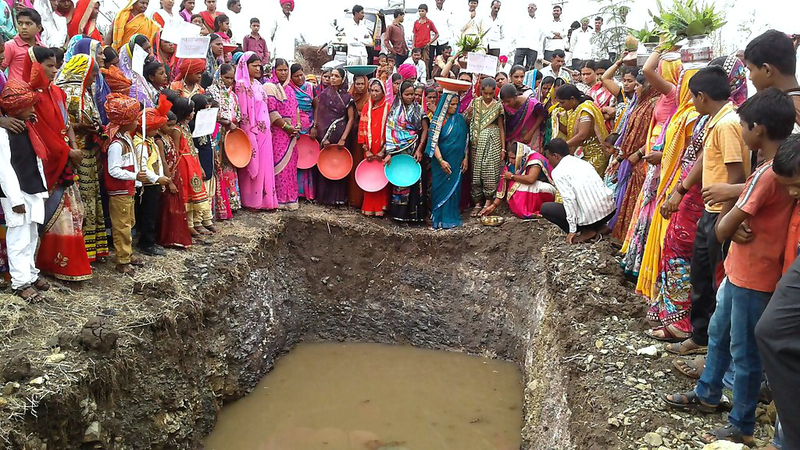 With the help from the local group of Tanishka Foundation, a silt excavation drive was conducted by the inhabitants. The drive was enormously successful as the participants ensured that there’s enough water for everyone for the entire year. Sakal Relief Fund facilitated this dive through funding of INR 1.5 lakhs. Tanishkas then took help from villagers and initiated the silt excavation and canal widening process. Women from the age of five to 80 years actively participated in the initiative. Later, men also joined the movement. The activity which was started in May with people contributing their efforts every day. Representatives of different local organizations also participated in this movement. All these efforts resulted in widening and deepening of the canal of 2 km in length. Looking at the enormous active participation from the locals, Manavlok and Mahajan Trust from Mumbai sent one J.C.B and a Poklen to Shripatraywadi, which were later used to create a plane bottom for the canal in the area of 40 hectors. This collaborative effort from Tanishkas and Sakal Relief Foundation has led to a facility that can accommodate a crore and 24 lakh liters of water. The population of the village is 800. The villagers require about three crores 84 lakh liters of water every year. The village currently has 30 wells, most of which are currently being fixed. For a person, 40 liters of water in a day water can be considered to be sufficient. The rest of the water can be used in agriculture. Four years ago, a young girl from the village Shitalwadi, Taluk Ramtek registered for Tanishka forum. She led various social initiatives, honed her innate leadership skills and ended up becoming a Sarpanch at the young age of 20! Not only that, she represented her village in a meeting organized by NEETI AYOG in Delhi, and her opinions were applauded. This girl who developed her leadership skills and represented Maharashtra is Yogita Gaikwad. Three Sarpanchs were called for this meeting from Maharashtra. Out of those, Yogita was the youngest and also the sole representative of Vidarbha. She firmly raised various issues like an honorarium for Sarpanch, the election of Sarpanch directly from the masses. She also advocated that the government should utilize the existing NGO network to execute various schemes in rural areas. She also raised issues like a single engineer on the Panchayat level cannot possibly look after 40-50 villages and deployment of more human resources that could be made available on contract. 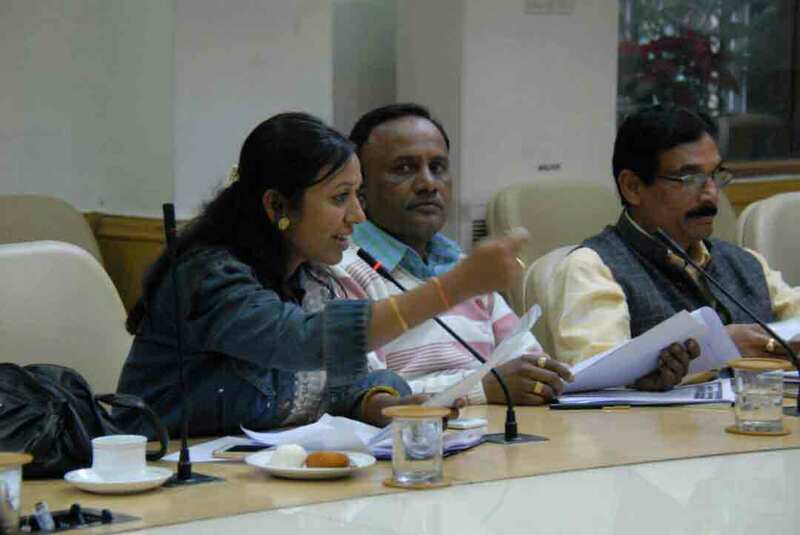 These suggestions were well received, and Yogita was applauded in Delhi. It was Yogita who conducted the first elocution competition for women in Ramtek. It boosted the confidence levels of women. She also introduced Tanishka to college-going girls. Yogita and her group annually solve eight to ten family issues. Additionally, they also regularly engage in solving various issues of farmers, roads, power, water etc. Other members of Tanishka who work along with Yogita are Kiran Jayswal, Chhaya Vanjari, Panchashila Khobragade, Nandita Mhaske, Babita Rahate, Mala Sarote, Laxmi Khobragade, Aruna Meshram, Vandana Gaikwad, Anita Nandanwar, Anjira V arkade, Sulochana Dhurve, Durga Londhe, Rameshwari Londhe, Shubha Thulkar, Vijaya Thakare, Mina Chaware, Rashmi Kathikar, Lata Kshirsagar etc. A food mess is going to start soon in Shitalwadi following Yogita’s initiative. This mess will generate employment for 25- 30 women. The mess will start operating from next month while the entire logistics would be taken care of by Tanishka group members. A business training workshop will be conducted too, which will help women start their small businesses. Nagardhan regional water supply scheme that was supposed to be taking care of 14 villages had gone defunct. It would run a couple of months every year, only to stop working for the remaining year. Tanishka and Gram-Panchayat together put up a fight and got this scheme operational. An apex body was also formed for this. This body comprises the sub-divisional magistrate (Tehsildar) and Sarpanch of 14 villages. Yogita was the driving force behind this and is now the president of this body. After this scheme became operational, tax arrears of worth many lakhs were also collected. It is exceedingly difficult to fight against those indulging in illegal activities with their money and power. The fight put up by Rachana Kanher, Tanishka group head, at Hingna along with her other group members serves as an example of that. Despite strong support of public representatives, government system and the residents, they had to put up a great fight to get rid of an illegal liquor shop in a residential area. 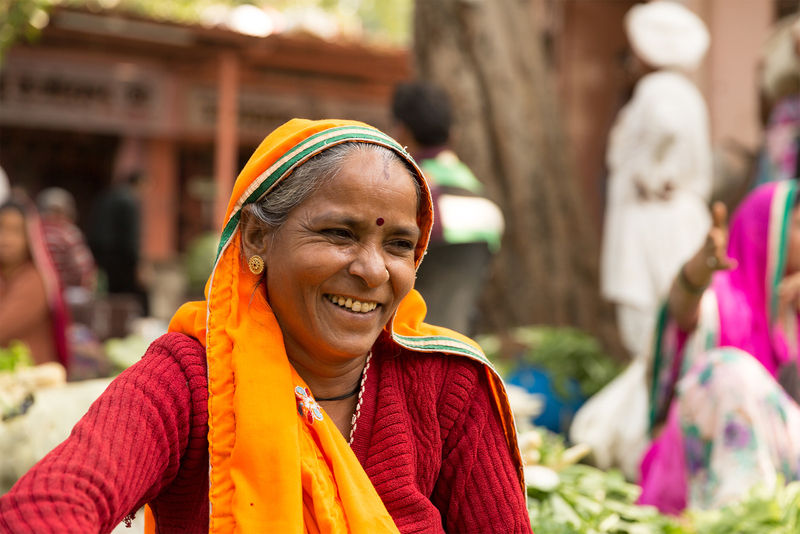 The story of Rachana's struggle is an inspiration in itself. Gajanan Nagar, located around Neeldoh, Deegdoh in Hingna, in the Nagpur district is a quiet residential area. One morning in July 2015, the residents had the shock of their life when they heard that a liquor shop was opening soon near the school and temple. People started protesting. Women were distraught. The real question, however, was 'who will bell the cat?' Who will take the initiative to fight against this? Rachana Kanher, the group head of Tanishka took a step forward. What she had with her were her organizational skills and firm support of her Tanishka group members. They started protesting within legal limits. With every passing day, the support to this struggle started growing stronger. As shop-owners realized the ever-increasing women power, they started threatening these women through the back door. Many people were bribed, and some rumors were started in order to defame Rachana. Despite all this, Rachana did not give in, did not waver from her stand even one bit. She was instrumental in bringing these forged documents, forged signs, and following permissions into the public eye. She used the Right to Information (RTI) act very well for this purpose. She managed to get a staying order on the liquor shop from the collector's office. Despite all this, concerned people attempted to open the liquor shop by force in the night. Charges of breaking in and riots were imposed on these women when they tried to stop it. Whosoever had come for their aid, was taken into custody by the local police force. The 'divide and rule' strategy was also obviously seen when these protesting women were defamed. The entire liquor lobby was united against Tanishka. Politicians and officers kept giving false promises, and the liquor shop remained open. In such testing times, Rachana was firm. She took her plea to Chandrashekhar Bavankule, the guardian minister for Nagpur and state's power minister. 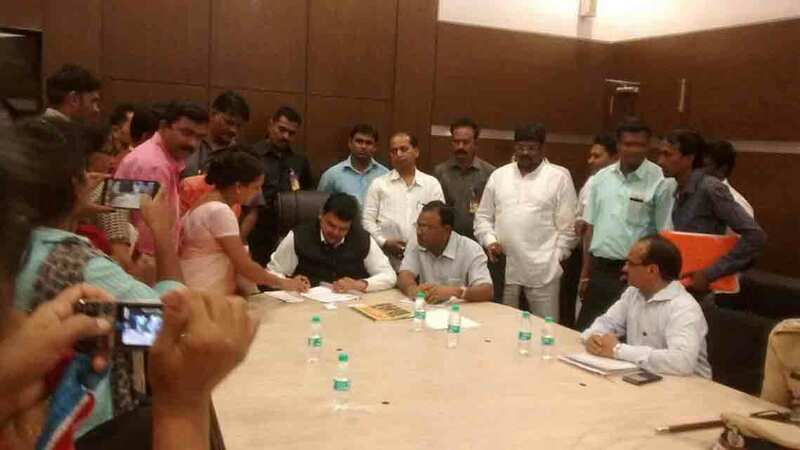 From there, she also directly went to the CM Devendra Fadnavis. After all this, there were still no signs of the liquor shop closing down. A fight on multiple levels was not yielding any fruit. Rachana finally went to the court seeking justice. Tanishka intensified their struggle. After a year of fighting tooth and nail, the liquor shop was finally closed down in August 2016. The power and malice of liquor lobby was no match against Rachana's persistent fight. High impact: Aim of planting 700 trees in and around the village with the help of these women has been set. Because of an emotional appeal, women took part in this initiative in large numbers. Everyone got wholly involved in the process of planting trees. 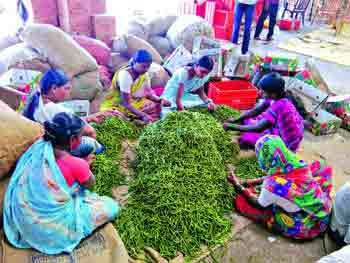 Tanishka members in Solapur district gave up farming of sugarcane and opted to cultivate an imported breed of chili that could yield a high output with minimal irrigation. Members from Bhose, Karkamb, and Bardi talukas have taken up the cultivation of chili and earned huge profits with the guidance and support from the Viththal Shetkari Bachat Gat (Viththal Farmers’ Savings Group). Sugarcane cultivation offers quick and immediate returns; however, it is necessary to find a solution to resolve the issue of degradation of soil over a period of time and the permanent difficulties arising in farming on the same soil. Tanishka member Ashwini Korke, from Bhose, feels that the high irrigation needs for cultivating sugarcane have always been a matter of concern for villagers. Earlier, farmers used traditional methods of cultivating sugarcane that was not favorable for the desired output. Farmers had submitted a request regarding the use of drip irrigation to Mr. Bharat Bhalke, Chairman of a sugar factory in their area, but failed to receive any cooperation from his side. This is when the Viththal Shetkari Bachat Gat encouraged Tanishka members to cultivate a breed of chili which was of export quality and had high demand in the foreign markets. Within just six months of cultivation, the yield of the chili was exported to Dubai and helped farmers earn huge profits. Cultivation of chili requires typically a small piece of land with very little water as compared to sugarcane and can be grown throughout the year. “We sowed G-4 chilies in three-fourths of an acre that helped us export around eight hundred and fifty quintals of chili to Dubai. At a profit of INR 60 per quintal, we have broken even in the very first deal and the income over the next two and a half months will be our net profit”, said Medha Bankar, a Tanishka member, Bardi. Total area under cultivation – 30 Acres. Saplings per acre – 6500. Yield per acre – 1 tonne. Cost of cultivation (per k.g.) – INR 40. Price obtained in Dubai (per k.g.) – INR 100. Life was difficult for the villagers of Tambe in Satara district of Maharashtra. The only bridge in the village was broken, and it caused a problem for children, women, men and senior citizens. 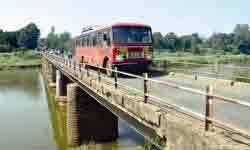 The bridge was also used by thousands of young people who regularly used to travel to neighboring villages. The youth approached the Tanishka members for help when they were turned down by the local Panchayat members. The forum members conducted a series of rallies and discussions with the district level authorities. The entire village joined them to create pressure on the government to take the necessary steps to resolve the issue. After struggling for a long time, the forum was able to collect INR 60 lakhs as a fund from an ex MLA; Mr. Vikram Patankar. The bridge was repaired, and life was back to normal for the villagers of Tambe. Government apathy and a host of tedious hurdles in receiving grants for toilets and sanitation facilities were forcing women to sell or mortgage their jewelry for the cause. In Vashim, Tanishka Forum brought the village folk together, instead of them fighting for the grant individually. Tanishka not only impacted the local governance there but also gained credibility as an organization. From fighting the patriarchal mindset and gaining the support of the men in the village to advocacy and follow-ups with the government on the sensitive issue of grants for toilets and sanitation facilities in every household, it was quite a challenge. With no toilets at home, many women across India are forced to go out after dark or during the wee hours. This is a significant concern for their security and dignity, and directly affect the health and confidence of women. The Indian Government has launched “Clean India” campaign, where grants are given to households to erect toilets and other sanitation facilities. However, apathy and a host of tedious hurdles in receiving those grants is a major concern. Some examples of women selling or mortgaging their jewelry for erecting toilets for themselves have come forth. So Tanishka Forums across Maharashtra were trying to resolve the compelling issue through advocacy and follow-ups with the government. The Tanishka Forum in Vashim came up with the masterstroke of bringing the whole village together to ask for a joint grant rather than asking grants for individual households. To begin with, the men in the village put up stiff resistance against the impending shift in power – an old patriarchal mindset – but the women were determined and refused to back down. Finally, the men relented and the village, as one, gave a proposal to the Zilla Parishad (local governing body). The Chief Officer (CO), Mr. Ruchesh Jaivanshi, heard their detailed pitch and decided to support the Forum through fast-track grants clearance. He also created an internal implementation team by the name ‘Sanitation Task Force’ and prioritized the issue, providing administrative support from his office to the block level. The Forum soon became a benchmark of valid information and due diligence for grants, gaining credibility as an organization and support from administration. Now the Tanishka ladies are looked at as the group that brought about a social change. Malgaon is a small village comprising just 600 people in Maharashtra. The village was facing a challenge in the supply of drinking water. Tanishka Foundation members identified this problem and with the help of ‘Sakal Relief Fund’ came up with an initiative to solve this problem. Tanishka Foundation team cleaned the banks of the river and the entire embankment. This scaled the Water Property of the village to 10 Cr Litres. It also enabled around 50 hectares of land in Malgaon and the surrounding villages to be irrigated. The initiative was headed by Mrs. Alka More from local Tanishka Foundation and was executed with the help of Group Coordinators Mrs. Meena Baag, Mrs. Yoja Patil and Mrs. Rekha Patil. Before this initiative, the village was dependent on water tankers for the last 32 years. However, due to the seamless execution of this initiative, the village has till date never asked for a water tanker. A similar activity was conducted last year by the local Tanishka team with the help of ‘Sakal Relief Fund’ during the ‘Jalyukta Shivar’ initiative. This initiative received an overwhelming response from the villagers. The efforts undertaken by Sakal Media Group and Tanihska Foundation in making villages like Malgaon, Pendgaon and Bhadgaon drought-free, have been appreciated by the villagers. They have expressed their gratitude towards these initiatives through mass participation in such initiatives. This year Tanishka Foundation has planned this initiative across four different villages near Malgaon which will help to improve the living condition of the local villagers.